The company has listed states like Gujarat, Karnataka, Jharkhand and Andhra Pradesh for setting up of large factories which can employ 10,000 workers. The development also promised the generation of 30,000 and 40,000 new jobs. 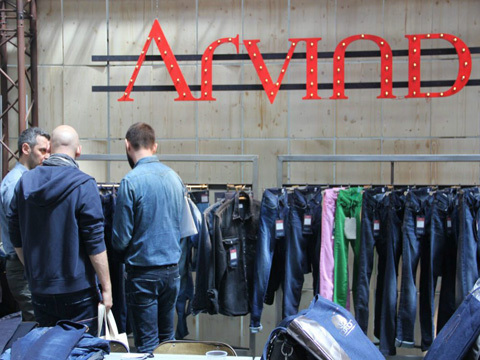 The makers of Arrow and US Polo Association apparel in India, Arvind has decided to invest Rs 1,500 crore in three years to increase its garment making capacity from fabric by six-fold to meet the rising demand for branded apparel and fashion garments, a senior executive told ET. “Today, we convert only 10% of our fabrics into our garments… we are taking that to 60%,’’ said Kulin Lalbhai, executive director, Arvind. The company has listed states like Gujarat, Karnataka, Jharkhand and Andhra Pradesh for setting up of large factories which can employ 10,000 workers. The development also promised the generation of 30,000 and 40,000 new jobs. The development is a part of doubling India’s largest denim maker’s textile turnover by 2022 from `6,000 crore at present. Denim constitutes around Rs 2,500 crore to the total turnover. The company will use cash flows to fund Arvind Fashions for many years to expand the fabric-to-garment conversion capacity. “Now, with Arvind Fashions being separately listed, the Rs 1,500 crore of free cash flow that will get generated by Arvind will be invested in all of these exciting new areas in textiles, technical textiles, and emerging businesses,’’ said Lalbhai. After incubating fashion apparel brands and real estate from the cash flow of the textile business, the Ahmedabad-based company is restructuring its many businesses into four listed entities. The parent Arvind will comprise the Rs 6,000-crore textile business and some other incubation businesses such as water, digital, telecom, advanced materials and technical textiles, while the entire consumer business, which is called Arvind Fashions, will be a Rs 4000-crore business which will be independently listed. The third one is a small, exciting engineering business which is being spun off and christened Anup Engineering, and the fourth one is Arvind SmartSpaces, a listed real estate developer. Lalbhai said that the health of the online retail sector largely depends on foreign investments in India which also ensures the potential of the digital space. He was referring to the investment of global retail chain Walmart in India’s largest online retailer Flipkart.